Building on the success of An Evening in Paris Texas Style, the BACC gala now had a branding strategy connected to a travel destination with a Texas flare. To showcase the event and build excitement among the membership an integrated branding and marketing campaign was developed. Event sponsorship levels reflected the theme of the event (Oscar, Emmy, Golden Globe, & People’s Choice). Direct mail, print, POS, and online branding built excitement around the event. The staging of the event included all the elements you would expect from a Hollywood Red Carpet Event. The result was a major success. 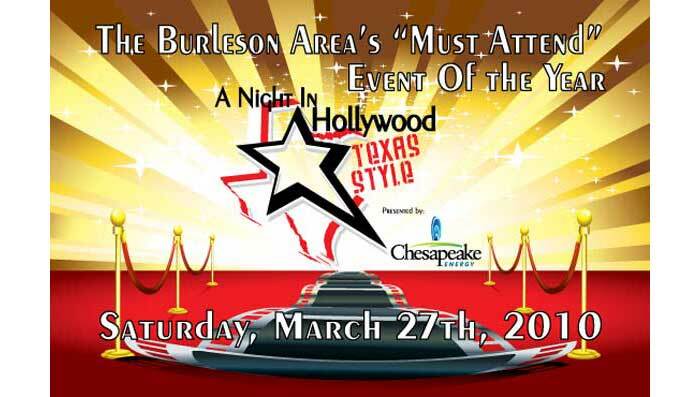 A Night in Hollywood Texas Style raised more money than any previous BACC gala.